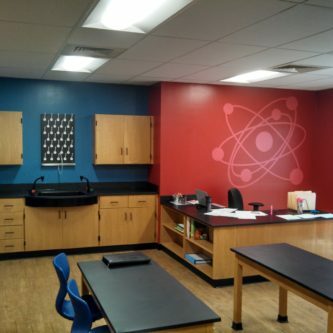 Hickory Grove Christian School came to Sheldon Labs with two big challenges – design one science lab that could efficiently accommodate students from kindergarten through the eighth grade, and do it all on a limited budget. 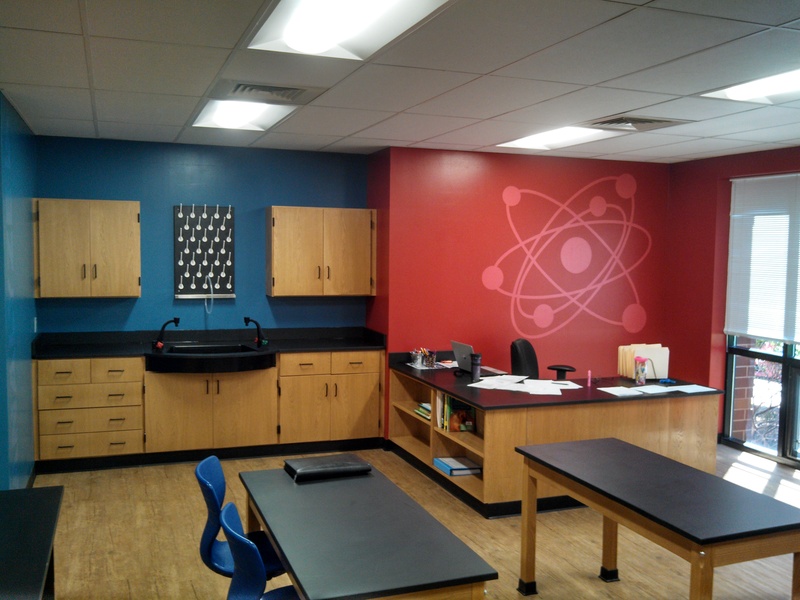 The Sheldon team began by touring two former classrooms that Hickory Grove proposed transforming into a modern science lab. 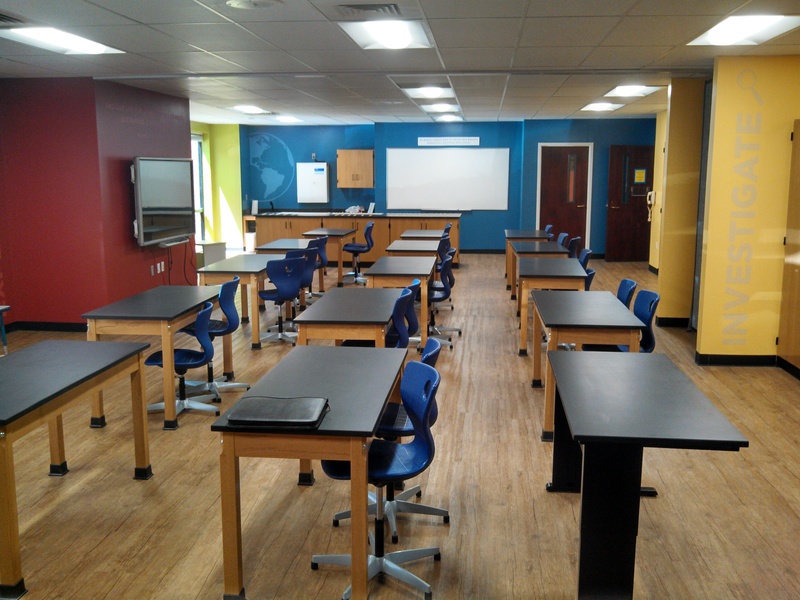 Sheldon then recommended tables, chairs, and equipment that would be flexible enough to accommodate students of different ages and sizes. Hickory Grove’s new VS America chairs, for example, adjust to various heights, allowing students from the smallest kindergartener to the tallest middle schooler easy access to the tables. The equipment also operates quietly; chairs that adjust without squeaking or creaking mean students can move around the experiment areas as needed without distracting others. 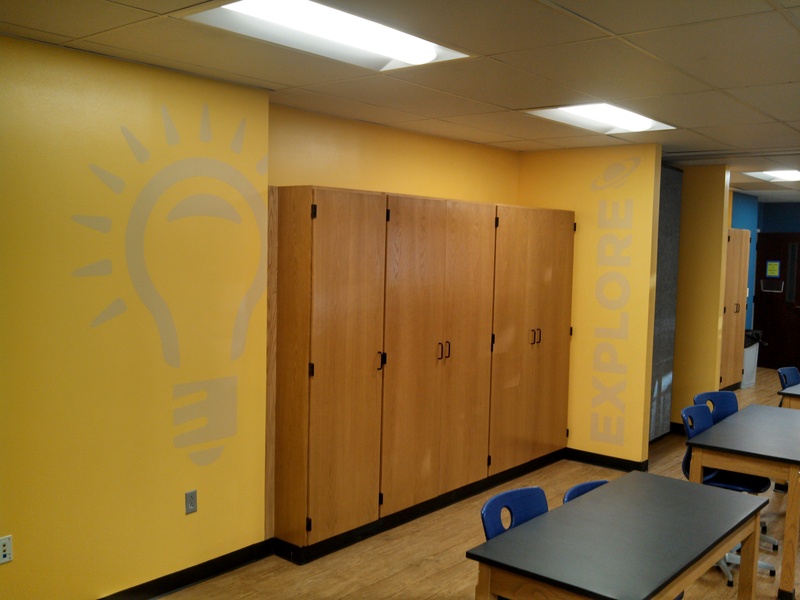 Sheldon also found a way to create just the lab Hickory Grove needed within budget. Some 650 students from ages four to 14 currently use the lab every other week. 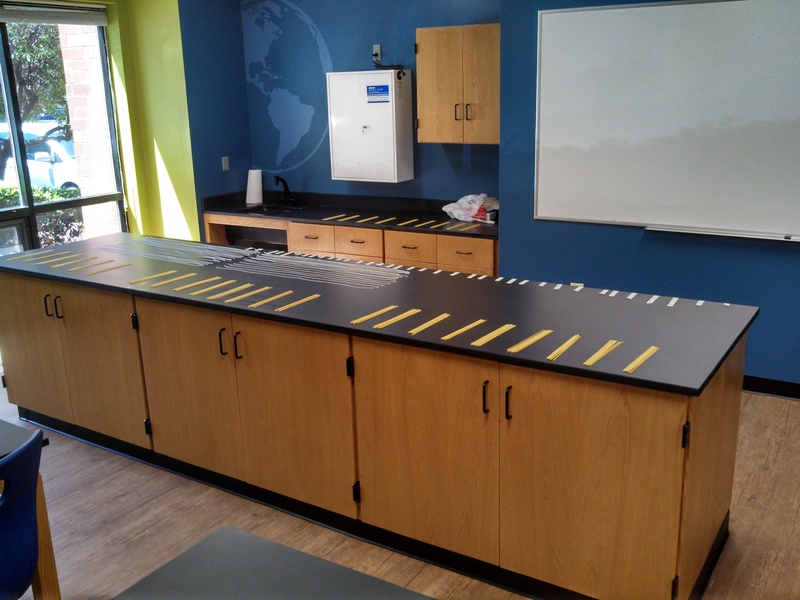 And just as school officials had hoped, the flexible design means that Hickory Grove is able to add new equipment as the school’s budget allows.